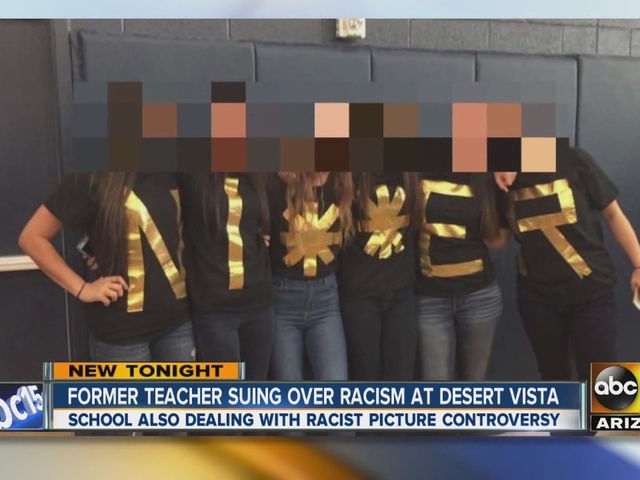 It's not the reaction you might expect over the student photo that's gone viral at Desert Vista High School but for a former teacher it's vindication. "When I saw it I screamed in my house 'Thank you Jesus! '” said Doctor Cicely Cobb. She is currently suing the Tempe Union High School District for ignoring her complaints of discrimination in 2014. She says the students were blatantly racist towards her and other black students but administrators brushed her off. "I had been portrayed in this community as the crazy, angry black woman who claimed that there were racial issues at Desert Vista High School, but apparently there were not," said Dr. Cobb. Dr. Cobb is not confident they won't do the same thing with this situation. She says the school campaign announced Monday to "spread the word about the n-word" is laughable and a lesson that should’ve already been clear. "It seems quite elementary considering how horrific of an event transpired at their school. It makes Ahwatukee look like a joke," she said. As for the six students, school officials say they will not be in classes as they go through the disciplinary process. Punishment will come down to context of the photo. It’s not clear if the student who took the photo will face any form of punishment.